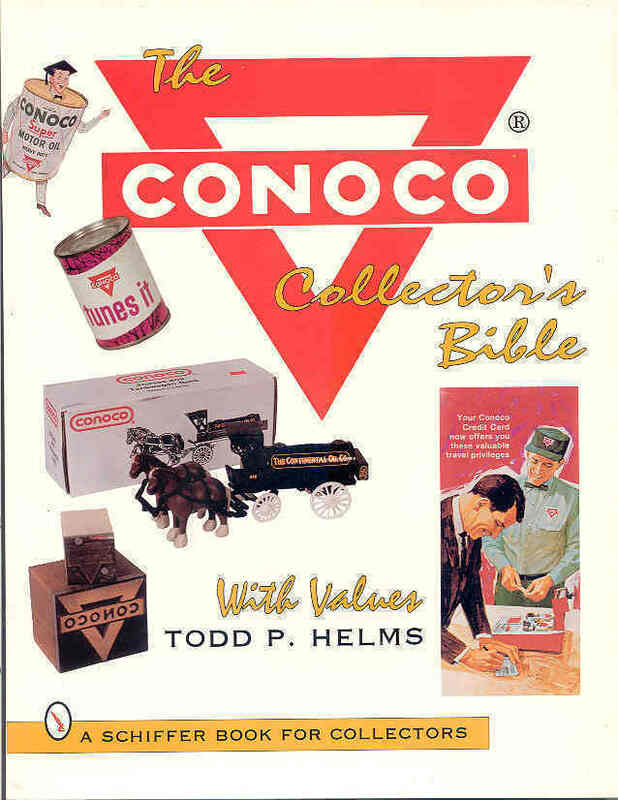 The Conoco Collector's Bible Reference Book, and Price Guide, authored by Todd P. Helms. Published and copyrighted by Schiffer Pub. Ltd. 4880 Lower Valley Road, Atglen, PA. 19310 in 1995. Book is Paperback new, and unused, measuring 8 1/2 x 11 inches with 110 pages of photos and information to assist the Collector in identifying and pricing their collection. This book is from my inventory when I had a Post Card and Antique Booth in an Antique Mall, and came directly to me from the publisher. I am not ceratain that this Guide is still in print but believe that it will be extremely difficult to aquire in this New Unused condition. Buyer pays 4.95 S H for U.S. delivery, USPS Media Mail. Insurance is the responsibility of the Buyer. I accept Cashiers Check, Money Order, Personal Check, or Cash. I DO NOT ACCEPT PAY PAL or any Credit Card payments. Cash payments must be in U.S. Currency, and is remitted at the SOLE risk of the Buyer.